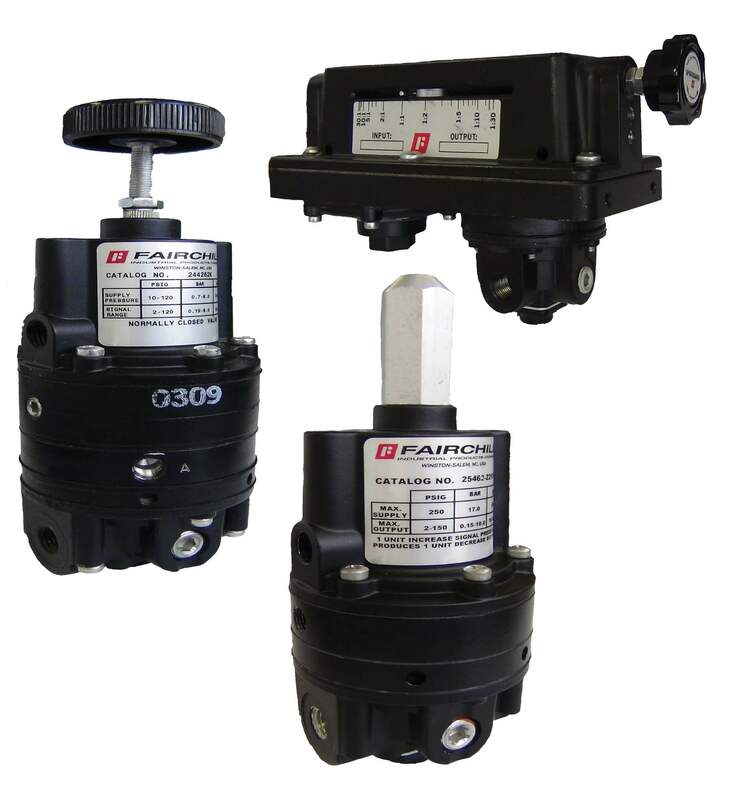 Our extensive line of Fairchild pneumatic control relays serve all control applications including positive biasing relays, positive & negative biasing relays, infinitely adjustable ratio relays, reversing relays, averaging & computing relays, high & low pressure selectors and high & low pressure limiting relays. Biasing Relays, including both positive biasing relays and relays that handle both positive and negative biasing functions. Reversing Relays which are ideally suited for a variety of precision control applications, including converting direct acting valves to reverse action, controlling opposite acting valves from a single transmitter and cushioning cylinder loads. Adjustable Ratio Relays available with both input and output adjustable bias. Pneumatic Computing Relays designed to perform a number of specialized functions, including averaging, differential, inverting, and totalizing. Snap Acting Relays where the output of the unit will go to supply pressure when the signal is equal to or greater than the set point. Selector Relays designed to select the lower or higher of two signal pressures to provide a continuous output pressure to a control device.